It has over 200,000 books. (SPOT.ph) Fully stocked libraries that are open to the public are a bit hard to come by in the Metro, and the best ones often require paid membership or an admission fee. Meanwhile, Singapore—an island country that seems to have it all—has more than 20 public libraries managed by their National Library Board. 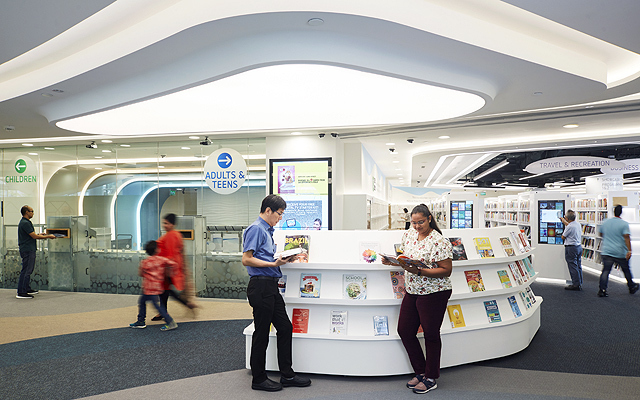 On top of this, they're opening a new one inside a shopping mall: library@harbourfront is set to open on January 12 at the third level of VivoCity, a mall near Sentosa. 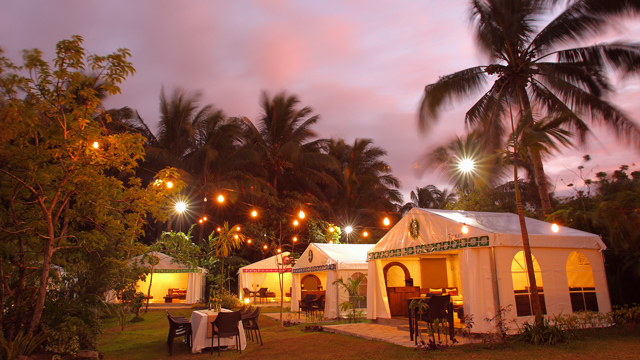 Now, you can dine, shop, and read all in one place when you find yourself in this country. With wave patterns and colors of blue and green inspired by its location along the coast, the 3,000-square-meter learning destination hopes to encourage children, teens, and adults to make reading a habit. It features about 200,000 books, magazines, and audio-visual materials. On top of this, the library also houses about 480,000 electronic books and audiobooks and over 7,400 digital copies of newspapers and magazines. There are also learning programs laid out for the whole year. 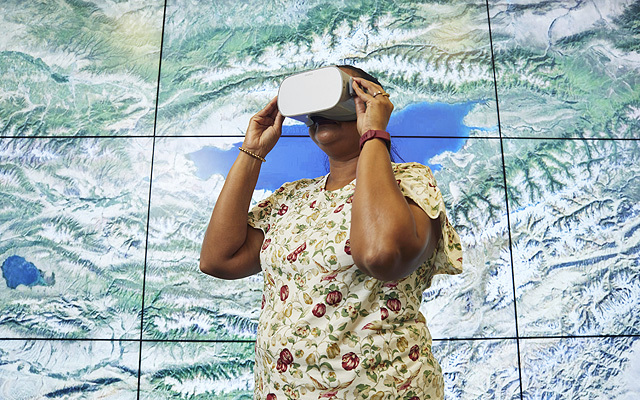 People above 50 years of age have the opportunity to use educational mobile apps and virtual reality gadgets. Teens can sign up for quarterly STEAM (Science, Technology, Engineering, Arts, and Mathematics) workshops for a more immersive learning. The young ones can just hang out at the Tinker Truck, one of the highlights of the Children's Zone, where they can learn about paper crafts, solve word puzzles, and use interactive e-books. 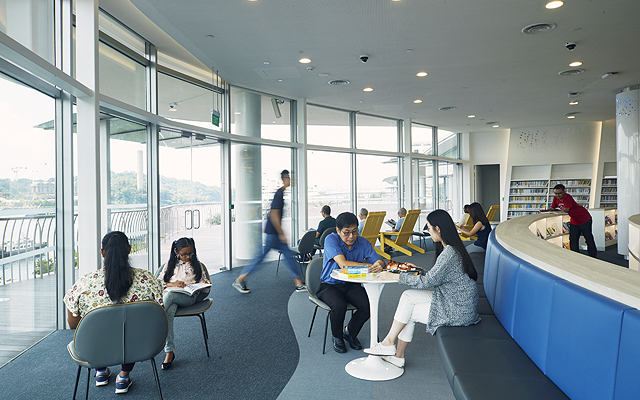 library@harbourfront is the new location of the Bukit Merah Public Library, which closed its doors on December 1, 2018. 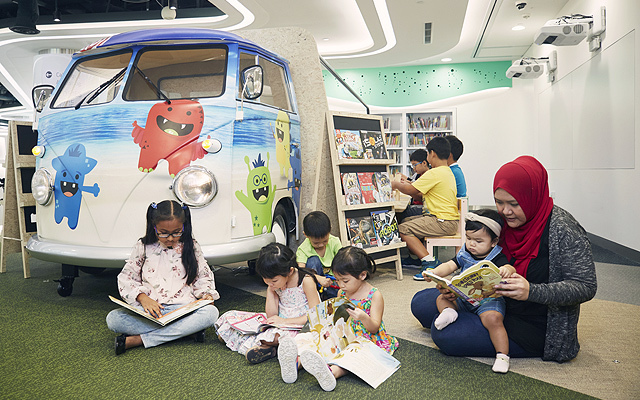 Despite complaints that the new place is too far from the original site in Bukit Merah Central, the National Library Board hopes that the move to a shopping mall will result to more foot traffic for the reading destination. 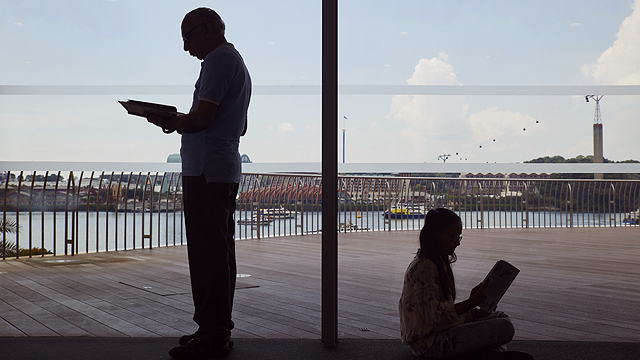 library@harbourfront is expected to receive 1.5 million visitors a year. 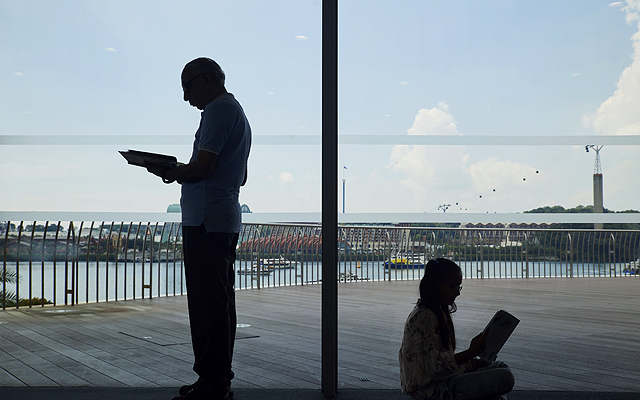 library@harbourfront opens on January 12 at 3/F VivoCity, 1 HarbourFront Walk, Singapore. 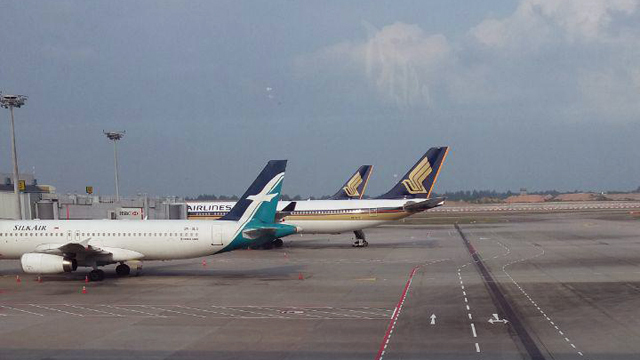 It is open daily from 11 a.m. to 9 p.m. For more information, visit National Library Board – Singapore’s website.